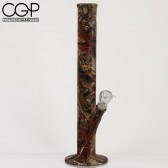 A water pipe is a pipe that uses water to filter and cool the smoke. 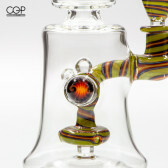 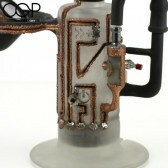 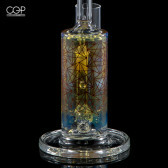 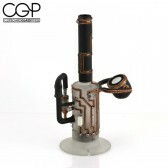 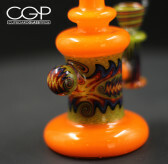 A water pipe designed for use with concentrates is typically called a concentrate rig. 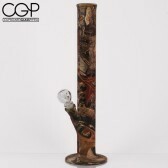 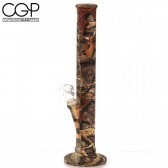 Therefore when someone says water pipe they are typically referring to a piece designed for use with dry product / flowers - however some pieces are designed for use with both interchangeably. 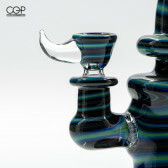 The main difference between a water pipe and a bubbler is size. 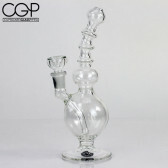 A bubbler will be more portable and hand-held, while a water pipe is more of a table-top unit, usually larger than 8 inches. 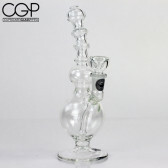 Another notable difference is a bubbler is usually one solid piece with a built-in bowl, while a water pipe will have a removable bowl piece called a slide. 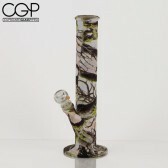 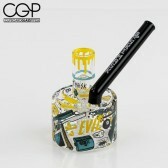 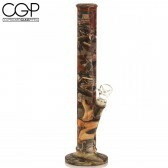 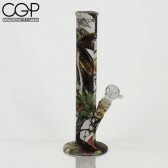 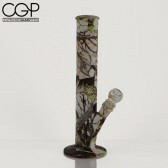 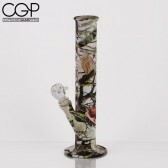 This can be seen as an advantage - the removable slide makes the pipe easier to clean, allows the piece to be cleared of smoke all at once, and also opens up more options for customization. 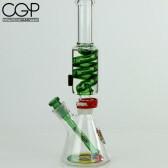 For example, one can get a simple water pipe and then at some point in the future decide add an ashcatcher, upgrade the downstem, or add necessary components to use the water pipe for concentrates.